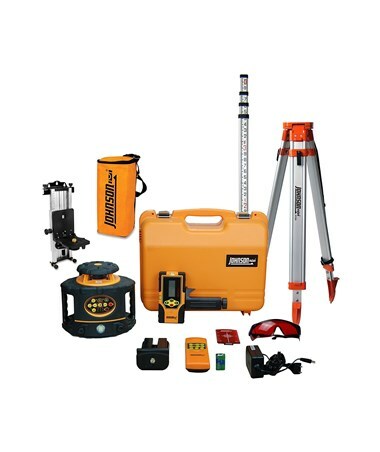 Ideal for many indoor and outdoor applications, the Johnson 40-6557 Electronic Self-Leveling Rotary Laser can operate an interior range of up to 200 feet and an exterior range up to 2,000 feet with a laser receiver. 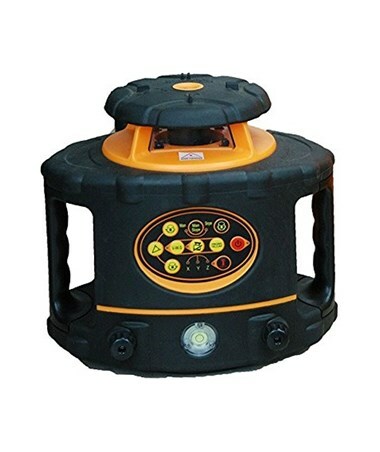 Electronically self-leveling within ±5 degrees, this rotary laser level is ideal for acoustical wall ceiling and drywall, flooring installation, reference for squaring and leveling, fence reference and the like. Also, it offers an accuracy of ±1/16 inch at 100 feet. 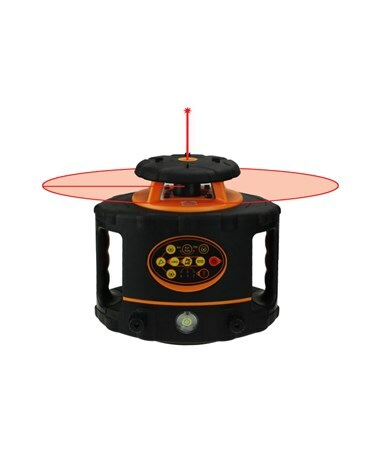 Featuring horizontal and vertical self-leveling, this rotary laser level has rotation speeds of 0, 300 and 800 rotations per minute. Also, it has five scan angles of 0, 10, 45, 90 and 180 degrees. 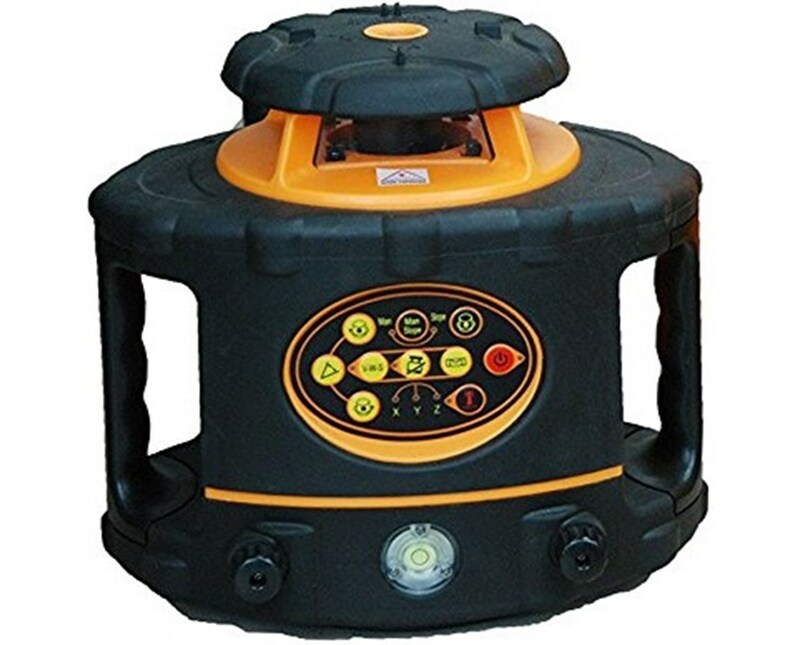 Plus, this self-leveling laser has visual and audible alarms when beyond leveling range. To ensure product accuracy, it has a tilt alarm function. Using Li-ion rechargeable batteries, it can run up to 25 hours and up to 16 hours with alkaline batteries. It is protected from dust and water with an IP66 environmental rating. As an additional feature, it comes with a 5/8-11 tripod thread which is compatible with most tripod brands. 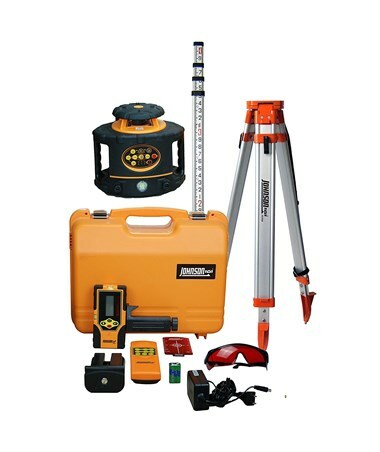 The Johnson 40-6557 Electronic Self-Leveling Rotary Laser has three available packages with varying accessories. Please choose your preference from the drop-down menu above. Aside from the tripod and grade rod, this package comes with a wall mount and soft carry case. The wall mount provides fine adjustment for aligning jobs and drop-ceiling installations. 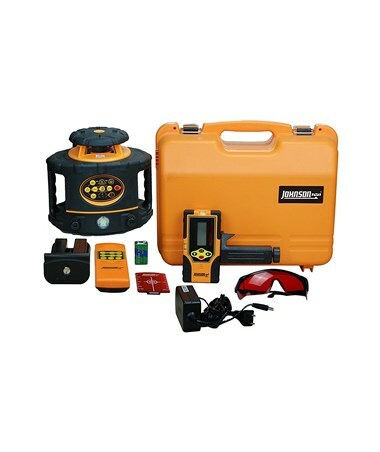 Also, the soft carrying case allows the construction professional to take this rotating laser anywhere. Horizontal ±1/16 inch at 100 ft.
Vertical ±1/16 inch at 100 ft. Accuracy ±1/16 inch at 100 ft.